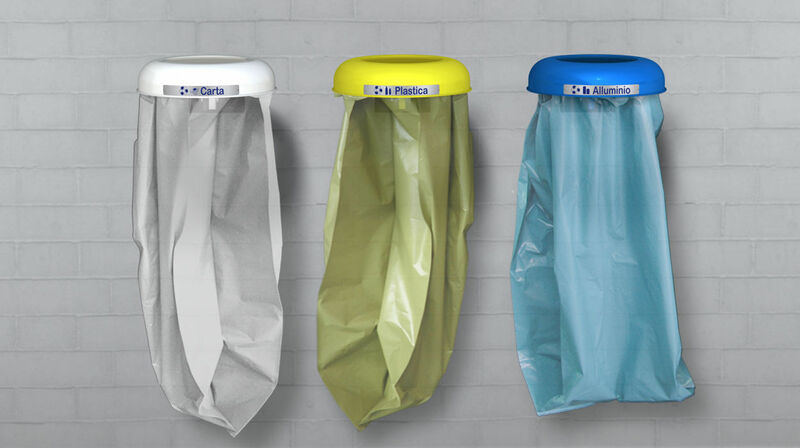 Public trash can / wall-mounted / metal / recycling - CLEAN 326-M - DIMCAR s.r.l. 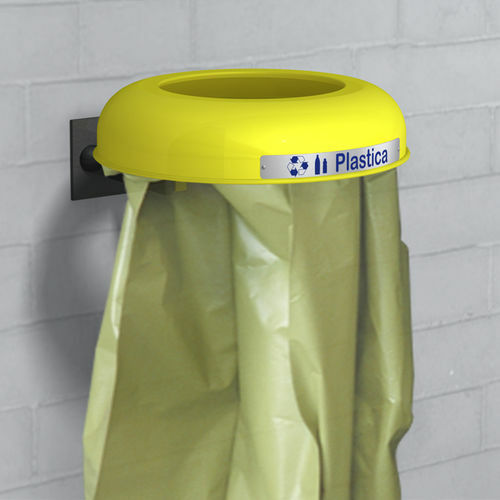 Anti-terrorism countertop bin and Clean wall fixing. Carrying structure made of galvanized flat iron with holes for fixing to the wall and connection bracket for fixing the ring. 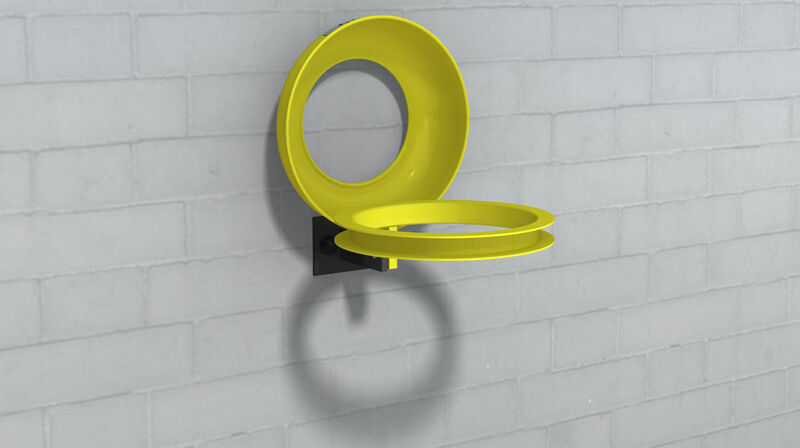 Fixed cast iron ring in U-galvanized steel section with hinged and shaped lid, with a tip-open type, with cutting edges and upper hole for insertion of waste. On the front of the cover there is an aluminum plate with adhesive bearing the type of refuse to be inserted. The basic finish for this product is composed by the gun barrel color, the carrier structure and the connecting bracket, while for the ring and the container you can choose between the white traffic color, RAL 9016, for the collection of paper, Zinc yellow color, RAL 1018, for collecting plastic and blue traffic for the collection of aluminum, the customer may still require a different finish, chosen from the RAL colors available on our website. The thermosetting powder coating technique with baking.